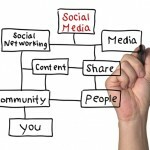 Many business owners are becoming more interested in Social Media marketing. They’ve seen how it can drive leads and sales and boost their online reputation. However, many of them are not spending a lot of time on Social networks personally, so it’s quite a challenge to figure out who the best person is to handle their business’ online presence and what that person’s job duties would be. Who speaks for your business? Social Media is about people, conversations and deriving leads and sales from those relationships. In a previous post here I wrote about the questions to ask a potential hire. Once you’ve hired your Social Media manager, you’ll need a job description to track progress, hold them accountable and know exactly where your budget is going for Social Media marketing. The Social Media Manager will implement the Company’s Social Media Strategy, develop brand awareness, generate inbound traffic and cultivate leads and sales. The Social Media Manager is a highly motivated individual with experience and a passion for content strategy, blogging, micro-blogging and community participation leadership. This position is full time salaried with benefits, including attendance at Social Media, blogging and industry-specific conferences. 2. Great Design. Visual content has a lasting effect on us humans. Whether it’s your status updates, your landing pages or your Facebook ads, what the audience sees is what they’ll remember. Make sure it’s compelling and gets the point across. 3. Solid Content Strategy. How do you know what you’re going to post on your page? You must first sit down, get quiet, and do what I call a “Brand Discovery”. What is it about your business that makes it unique…makes people want to buy from you? Answer that question in detail. Then, describe your customers: what are their interests, what problems can you solve, how can you help them? Quality information that’s relevant to your audience is how you build a Facebook page or any other Social community. 4. Promotion Strategy. You need to continually grow your fan base. The best way is to utilize Facebook Ads. A small budget with carefully selected photos and ad copy (with a clear call-to-action) will drive likes to your page. 5. Engagement Strategy. You need a plan on how you’ll engage your fans and build those relationships. 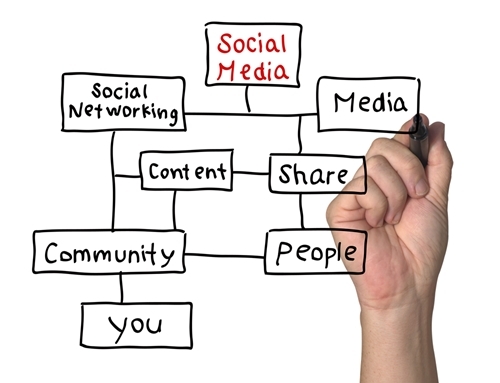 Your Social Media manager will listen, respond, ask questions and engage with your audience. 6. Conversion Strategy. Once you’re growing fans and engaging them, you need a strategy on how to convert them into customers. This more advanced form of Facebook marketing utilizes Facebook ads and marketing landing pages. Done right, it generates leads and sales. However, I’ve found most dealerships need advice and support. Find the right person to advise you and train your people so you get where you want to go faster, more efficiently and more cost-effectively. Displays in-depth knowledge and understanding of Social Media platforms and their respective participants (Facebook, Twitter, Yelp, Google+Local, YouTube, Instagram, Pinterest etc.) and how each platform can be deployed in different scenarios. Your turn: What more would you add to this job description for a small business’ Social Media manager? Please share in the comments! Automotive Social Media & Online Reputation Coaching/Training. Blogger, Speaker. I've spent my life in the car business. Founder & CEO Kruse Control Inc. In sales (and in business generally) we love to measure things. We want scientific proof that things are working, something we can rely on.